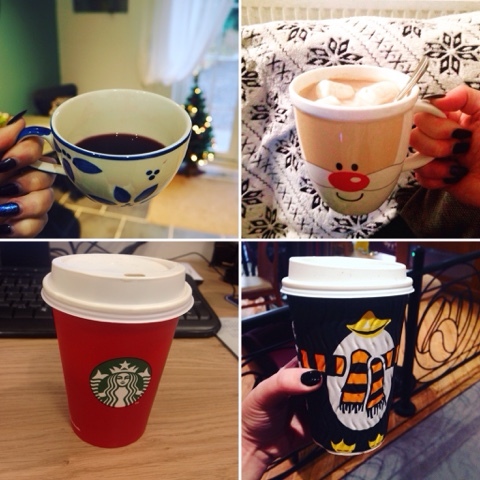 One of my favourite aspects of Christmas are the limited edition coffee cups and special festive drinks. I love that no matter what time of day it is, it's perfectly acceptable to have a sickly sweet hot chocolate with all of the trimmings or a big mug full of mulled wine. Anything goes when it comes to hot beverages at Christmas time. It is the perfect excuse to have a catch up with friends, warm up after a chilly walk with family or to rest your arms after a full day of Christmas shopping.